The USB madness coming out of Japan doesn’t come to an end, it seems. This time, it’s not USB specialist Thanko but an unknown Japanese company selling a USB memory stick that looks like a cat tail. 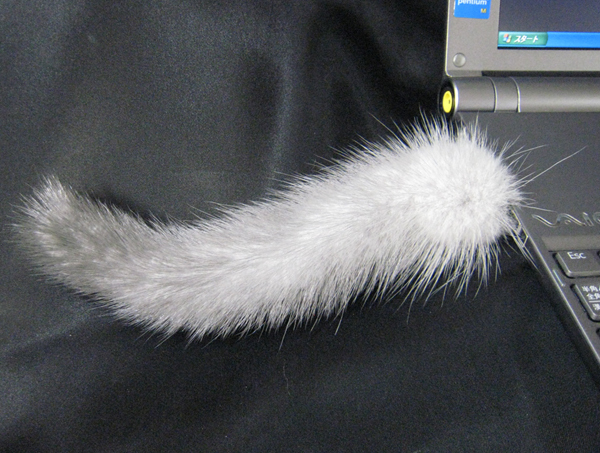 The tail comes with 2GB of memory and seems to be a follow-up to the weird USB cat from last month. I have no idea who would actually use this ugly thing (I still wait for a USB tentacle stick to give as a present to John Biggs), but you can contact Geek Stuff 4 U if you really want to have it. It will set you back a whopping $55 plus shipping.